In celebration of National Entrepreneurs' Day and this weekend's Small Business Saturday, we thought the perfect Tasty Tuesday would be Brickhouse Sports Bar and Grille, a locally-owned business across from Meredith College. 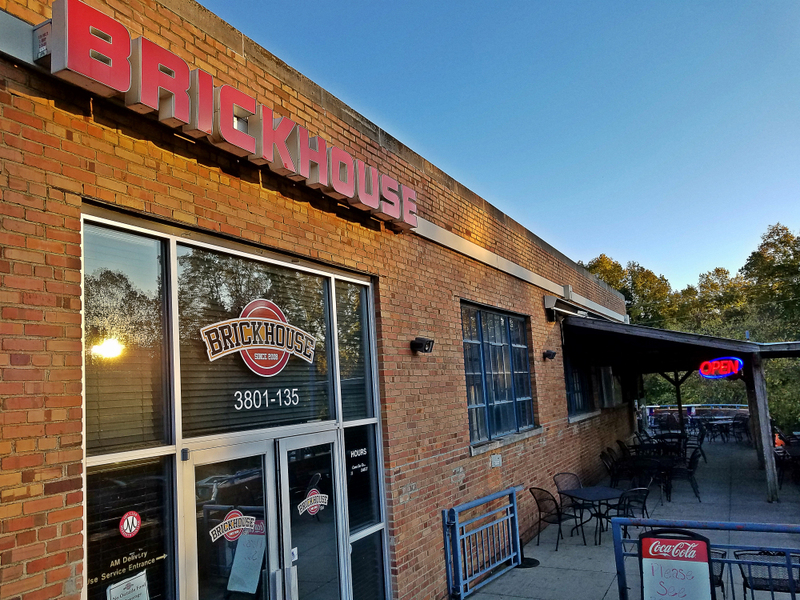 Brickhouse was founded by four NC State alumni who wanted to create a fun place on the street for students and alumni to watch sporting events. 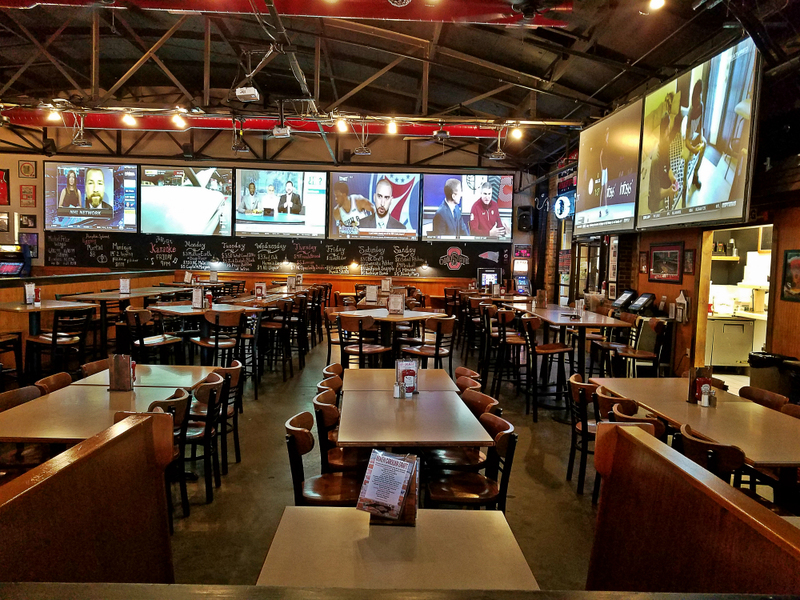 As the official watch party location of the Ohio State Alumni Club of the Triangle and the New England Patriots' Triangle Patriot's Club, the popular restaurant and bar is a lively atmosphere on Saturdays and Sundays. Perfectly situated near I-440 in the Royal Bakery Building, Brickhouse has plenty of parking behind and underneath the building. When you enter the building it becomes apparent that this place is not a purpose-built bar. The bar is housed in the historic Royal Bakery Building (where they used to make Wonder Bread) and you can see photos from the old days in the hallway leading to other restaurants and shops. Also, unlike the average sports bar, this building has an open feel to it because rather than being crowded with countless flat screen TV’s, their main dining area has eight 120” projector screens that function as giant television screens to provide a clear view of every game. The games are also shown on televisions at the bar and in the billiards section of the bar. 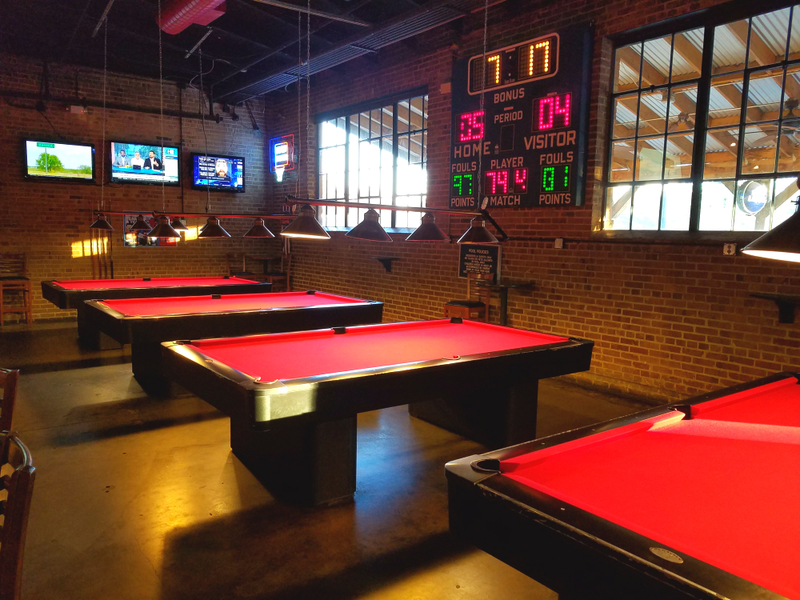 During popular games, the billiards section becomes standing room only so more people can come and watch the game. Local sourcing for their products is something The Brickhouse deeply believes in. Much of their beer, spirits, food, and even uniforms are made by local businesses. 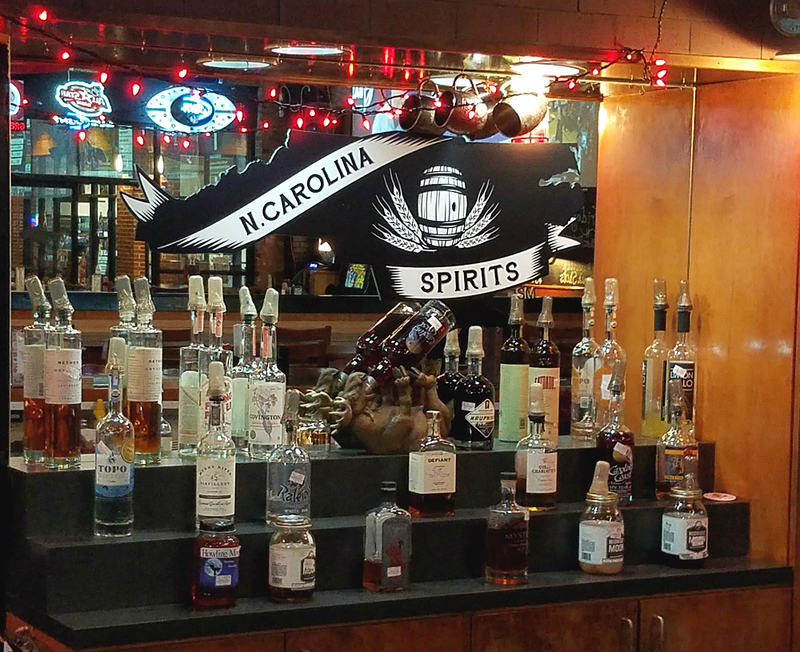 The owners take great pride in being one of the first locations to offer an expansive selection of North Carolina spirits. 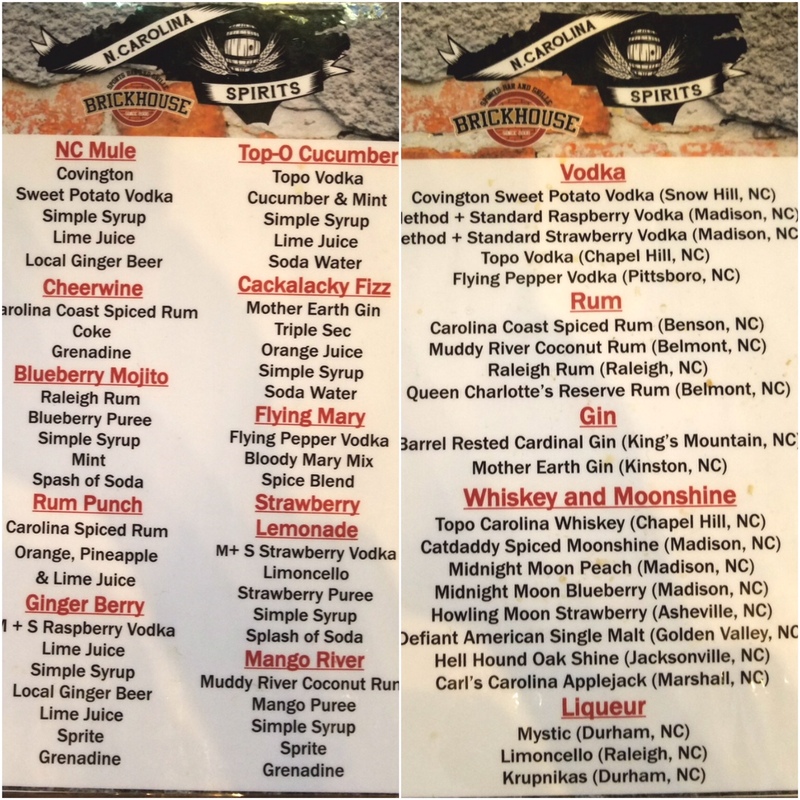 In fact, they have a menu dedicated to their versions of popular cocktails inspired by North Carolinian spirits. 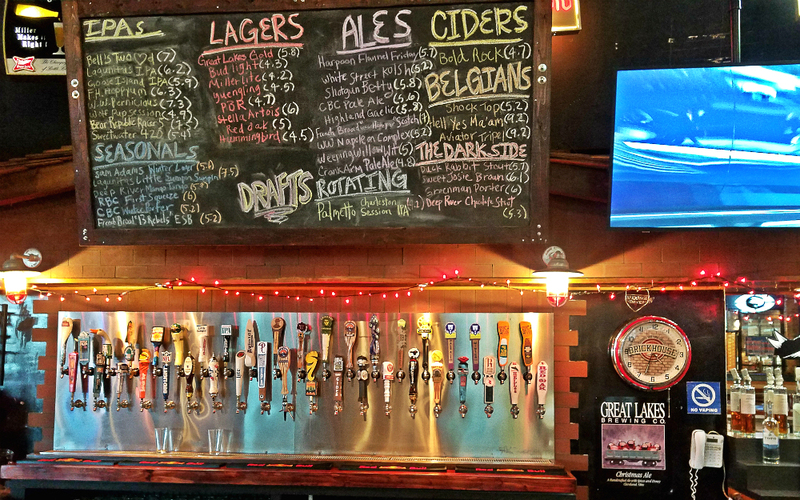 Brickhouse also carries a large assortment of craft beers from North Carolina, with 22 of their 40 taps pouring beer brewed in North Carolina, many of which are from the Raleigh-Durham area. Brickhouse has drink specials every day of the week with at least 2 specials every day on things like shots, local pints, wine, cocktails, bombs, whiskey, and pitchers. They also have a popular karaoke night every Friday at 9:00 p.m. and trivia night every Wednesday at 8:00 p.m.
Visit their website to learn more and book Brickhouse for your next party http://brickhouse-nc.com/. You can support Brickhouse and the rest of the locally-owned restaurants in the district when you remember that dining small is just as important as shopping small this holiday season.